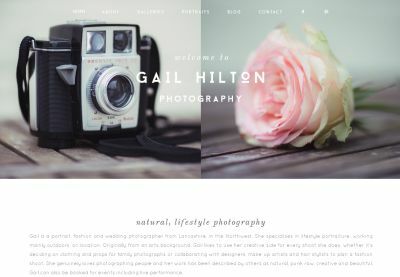 Gail is a portrait, fashion and wedding photographer from Lancashire, in the Northwest. She specialises in lifestyle portraiture, working mainly outdoors, on location. Originally from an arts background, Gail likes to use her creative side for every shoot she does, whether it's deciding on clothing and props for family photographs or collaborating with designers, make-up artists and hair stylists to plan a fashion shoot. She genuinely loves photographing people and her work has been described by others as natural, pure, raw, creative and beautiful.